Very occasionally an album comes along that just instantly feels like an old friend. It feels like you’ve owned it for years and you’ll always find yourself going back to it when the mood takes you. The title track which opens the new album from The Looking did just that for me. I felt an instant connection; one of those moments when a piece of music suits you right down to the ground and you just know ‘Lead Me To The Water’ is going to be a great album. Firstly a little back story for those, myself included, to whom The Looking are a new name. In fact The Looking is a vehicle for singer-songwriter and Indiana native Todd Carter whose varied musical influences run the gamut from Syd Barrett, The Dukes Of The Stratosphere and The Smiths in his early years to The Circle Jerks and Husker Du while at the University of Chicago (he studied Philosophy and Religion). He released an album of heartland songs that covered a century of music from 1850 to 1950 entitled ‘Songs For A Traveller’ in 2013 and the research for that album would lead him to the roots / country / Americana scene of Ray Price, Townes Van Zandt and Merle Haggard which has culminated in ‘Lead Me To The Water’. That title track, which originally caught my attention, may feature a terrific Gerald Menke pedal steel part that gives it country roots, but the sound is highly reminiscent of 70’s singer-songwriters such as Jackson Browne with a dash of the late 80’s heartland rock from the likes of Jimmy Ryser, Tom Kimmel and John Kilzer. Carter takes the lead here with his knack for penning a catchy melody and a smooth yet slightly husky vocal. The album takes a startling left turn with ‘The Well’ surely a contender for murder ballad of 2016 (last year’s winner was the superb Gretchen Peters / Ben Glover penned ‘Blackbirds’) which takes the listener on a darkly gothic journey of deceit and murder. ‘The Well’ is blessed with impressively dirty sounding fuzz guitars, clanky percussion and a vocal harmony from Sasha Dobson that works beautifully. The track also has a really fitting, if totally off-the-wall music video that should appeal to fans of David Lynch weirdness in which the performance by Todd Carter has to be seen to be believed. ‘Not My Friend’ tells that oft told story that when desire is in play friendship just won’t do. The track is blessed with a relaxed feel that masks the obvious pain of rejection “I want you back, don’t want to be friends. I’m not your friend” is a harsh but realistic lyric to which it is easy to relate. The poignant and personal sounding ‘Summer Of '76’ perfectly captures a coming-of-age feeling with Carter and Bill Finizio on harmony vocals taking centre stage with the pedal steel of Menke again to the fore. Menke’s contribution here is perfectly pitched with the piano of Adam Kromelow and the spacious, relaxed drumming of Diego Voglino (Marshall Crenshaw) who splits the drum work on the album with another fine drummer in Dan Rieser (Marcy Playground / Rosanne Cash / Norah Jones). It really is a lovely track that brings to mind the early work of Bruce Hornsby circa The Range. ‘Clouds’ follows and the shimmering musicality of the track anchored by the warm bass lines of Andy Hess (Gov’t Mule / John Scofield / Michael Landau) is a joy as the guitars weave their magic throughout the song and coupled with ‘Two Daughters’ really does emphasise just how good the playing is on the album. It is also noticeable that as the album progresses Todd Carter really lets his voice go demonstrating real range. This guy can really sing with ‘Waiting On You’ a prime example, the guitars have some real heft and the drums pound but Carter rises to the challenge with a really terrific vocal performance. To further demonstrate his range Carter repeats the trick on the beautifully arranged ‘A Bone To Pick With You’ where the addition of Jen Herman’s viola allows an element of the Broadway stage singer to creep in and it works brilliantly. The album comes full circle as it concludes with ‘Where Did You Go?’ and ‘Burning Doves’ again benefitting from pedal steel and some nicely judged twangy guitar parts from Steve Elliot (Shooter Jennings). 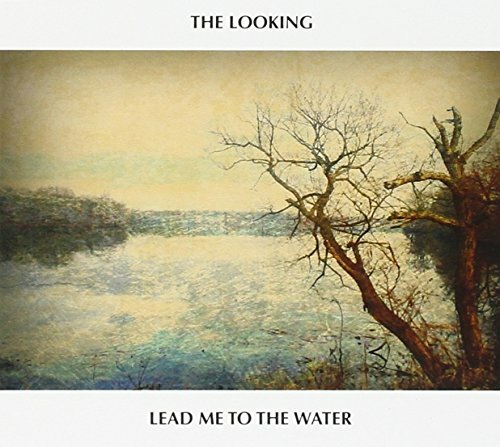 ‘Lead Me To The Water’ has been on very heavy rotation in the Red Guitar Music office (I use the term very loosely) for a little while now and despite the completion of this review I don’t feel that’ll change anytime soon. This is a terrific record.